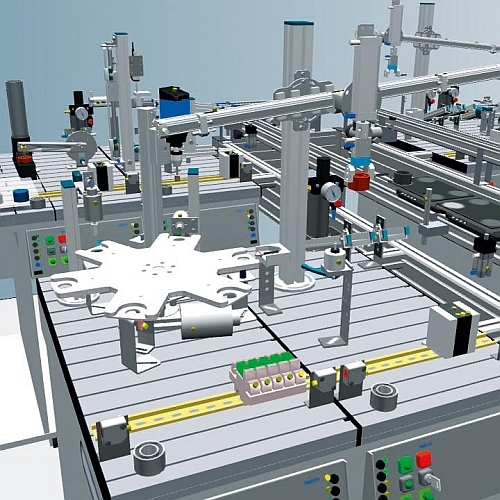 Modern PC technology allows us to create realistic 3D simulations even for the most complex automation systems. Participants discover the kinetic dynamism of mechatronic systems using virtual reality – without any risk to human or machine. 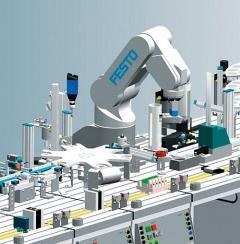 This allows users to take a step into automation technology without any worries, providing a great motivational boost. Working and learning methods have changed – and CIROS® supports these new methods. With a focus on visual learning, the appealing virtual representations encourage and motivate the full learning process. Today, simulation represents an important tool in production and product development in order to quickly and cost-effectively analyze new solutions, methods, and processes. Depending on the task in question, the simulation systems used differ from each other in terms of the level of detail of the information to be obtained and the way in which it is calculated. 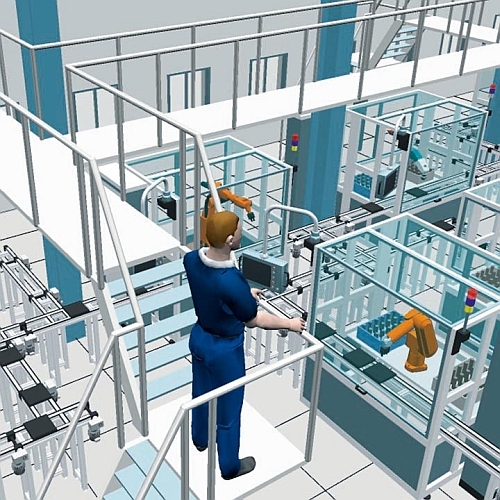 Realistic, simulated learning systems expand the training possibilities where real automation systems might reach their limits, allowing new training content and scenarios to be covered through simulation. 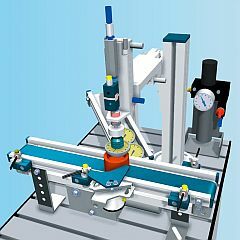 Large, fast, and cost-intensive equipment is used in mechatronic systems. Training on this equipment risks the high cost of repair as well as the safety of students. 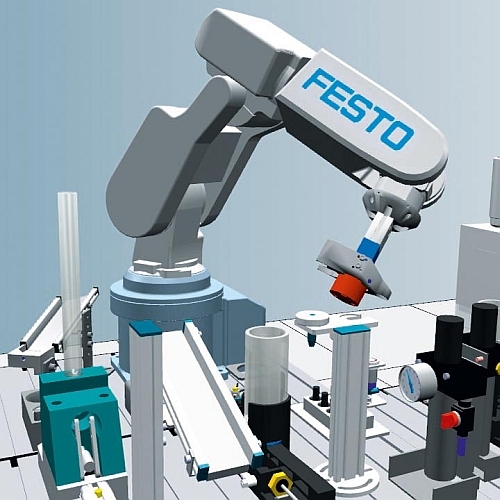 However, the learning and commissioning of robots, linear axes, and transport systems within the simulated production environment is completely without risk for both students and equipment. A simple click of the mouse in the simulation is all that is needed to put a pneumatic cylinder or an inductive sensor into a fault state. This opens up new learning situations in which students can be trained in systematically searching for faults. 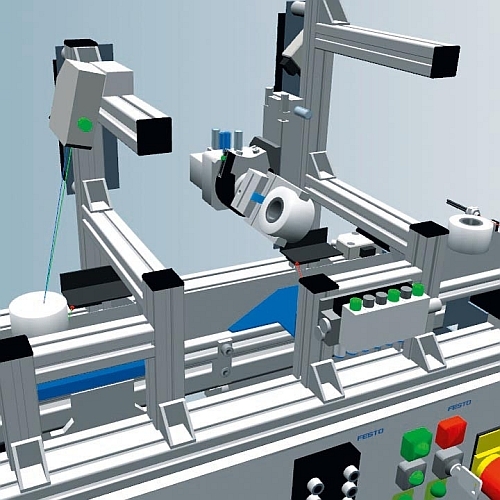 While virtually commissioning industry control systems and robots, students can use the system simulation to develop sequencing and motion programs, which can then be transferred to the control systems already in place. Today, students require minimum effort to quickly be able use simulation programs. The programs are always fully functional, since simulated equipment doesn’t break down, and identical simulated conditions apply for all students. So, simulations are not only cost-effective, but they provide user uniformity. 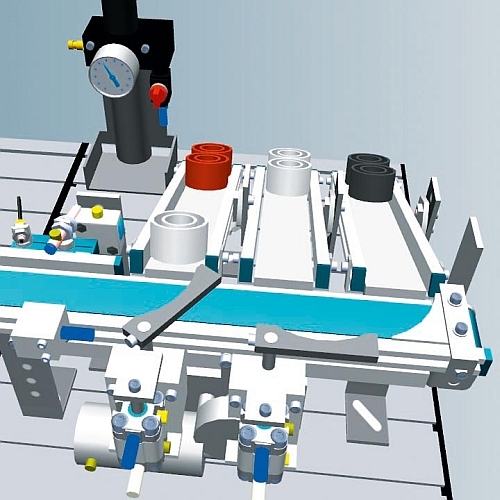 Additionally, simulation technology can be used for almost any application. 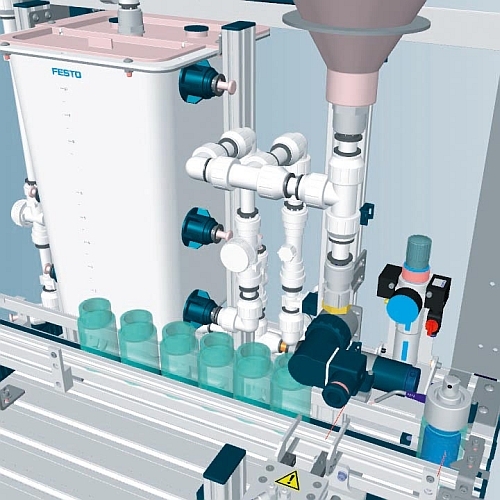 Once CIROS® has been installed, over 150 simulation models from the factory and process automation sector are included and available for immediate pedagogical use. Extensive model documentation is also available on demand. The flexibility provided by CIROS® makes it suitable for many different fields of application. It is available in a variety of price ranges with different options and configurations, and is efficient and convenient to use on a daily basis. 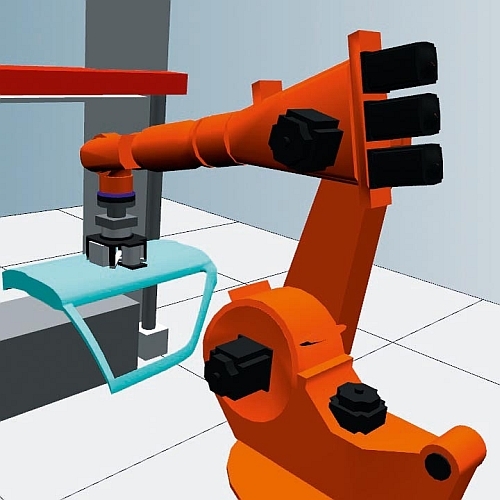 CIROS® covers a great number of applications, ranging from the use of 3D simulation in basic and further training, to the implementation of the digital factory in industrial companies, and right up to real-time simulations of complex virtual worlds.